“I am happy to announce that I have moved my office into Flour Bluff at 10001 SPID. The new name of it is Flour Bluff Realty. 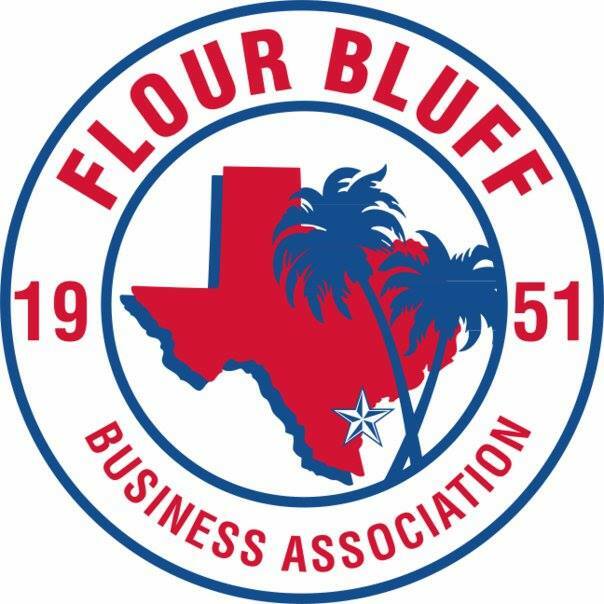 It is a brokerage dedicated for Flour Bluff. If you have questions about Real Estate or need free advice, just come let me know. I am excited to be part of the association, and I appreciate the board for acknowledging my presence with the Spotlight. It’s kind of a pinnacle for me. Growing up in the Bluff, I really have a fond passion for the area. I feel like we are the heartbeat of the Bluff, and for me to be a part of that feels like I really made it to the top here,” said Zarbock upon receiving the award. Charlie Zahn, Chairman of the Port of Corpus Christi will address the FBBA at the July 13, 2016, regular meeting. 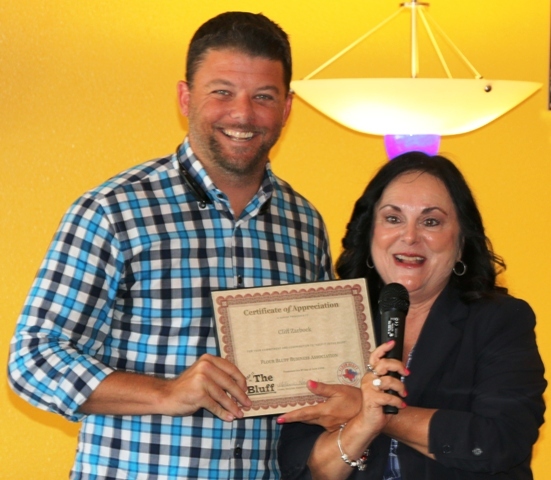 Jeff Craft was commended for his work on the Flour Bluff Messenger. Susan Lawson gave an update on Parker Pool . The opening is delayed due to ADA compliance issues. $2000 is needed for the upgrade. On May 12, 2016, Oso Mini Storage hosted a mixer for their grand opening. Melanie Hambrick encouraged other new businesses that are hosting mixers to contact the FBBA so that all could attend. As part of Beautifying the Bluff, four new trash cans have been installed by the City of Corpus Christi at Mud Bridge. Melanie Hambrick thanked those who had a hand in the acquisition of the trash cans, including Councilwoman Coleen McIntyre. Information was shared about the invasive plant, the Brazilian pepper tree. It is changing the natural environment and creating a huge problem for property owners. Various groups are working at eradicating the plant. For tips on doing this yourself, please click here. The next general meeting will be held at Funtrackers on July 13, 2016, at noon.